The Jean-Michel Cousteau Resort is proud of its Marine Biologist & Naturalist, Johnny Singh. 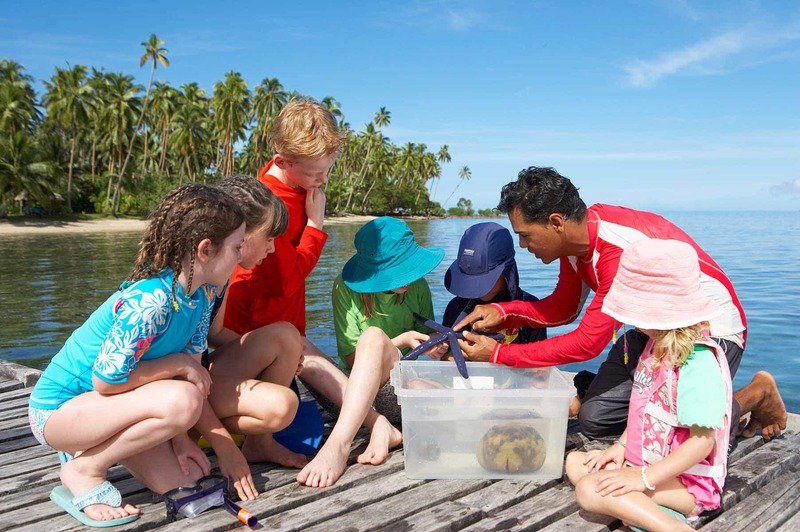 It is the only resort in Fiji with a Marine Biologist on staff. You will see him helping our guests explore and understand the diverse natural wonders to be found at and near the resort. He is constantly involved in educational endeavours to enrich the guests’ experience and which benefit the local community. Johnny personally leads guests in a wide variety of activities. On various evenings during the week Johnny gives presentations about a wide variety of topics related to the marine life found in the waters of Savusavu Bay as well as the coral reefs. His presentations are always entertaining, yet educational. Snorkeling, whether by day or at night, is one of Johnny’s great passions. He frequently leads small groups of guests on different snorkeling excursions close to the resort. Be sure to sign up and observe the incredible underwater world of soft coral for yourself!